It’s always amazing how one’s name can become so synonymous with a particular career or what one does that simply mentioning an institution, organization or product quickly brings to mind a perfect example. Frank Bruni has consistently had The New York Times attached to his name since he joined the tabloid over two decades ago. He was named an NYT op-ed columnist in June 2011 and writes bi-weekly columns and a weekly newsletter as well. Prior to hitching the hike with The New York Times, Bruni was a war correspondent, the chief movie critic and a religion writer with the Detroit Free Press. On joining his current platform, he has ranged broadly across its pages; as a White House correspondent, chief restaurant critic, and their long-time writer. Moreover, he contributes to other media platforms like CNN and HBO. Besides his journalistic prowess, he has also written three bestselling books: Ambling Into History (2002), Born Round (2009), and Where You Go Is Not Who You’ll Be (2015). More interesting facts as you read on. Frank Anthony Bruni announced his arrival to mother earth on the last day (31st) of October 1964 in White Plains, New York City. He is the second of the four children including his older brother Mark and two younger siblings, Harry (brother) and sister Adelle born to their parents. On his academic information and qualification, Bruni attended The Loomis Chaffee School located in Windsor, Connecticut. He followed it up with a higher education at the University of North Carolina at Chapel Hill where he graduated in 1986 with a B.A. in English. While in college, he already knew which direction he is headed and prepped for his future career. He also exhibited elite scholastic abilities and was a Morehead Scholar. He wrote for the student paper named The Daily Tar Heel. 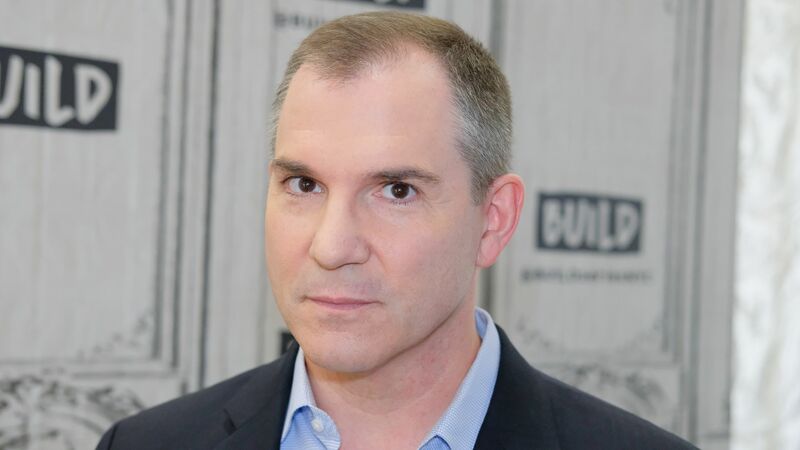 Frank Bruni later proceeded to Columbia University’s Graduate School of Journalism where he bagged a master of science degree in journalism, graduating second in his class of 1988, as well as won a Pulitzer Traveling Fellowship. Upon graduation, he joined the staff of the New York Post and then the Detroit Free Press where he was, alternately, the Persian Gulf War correspondent, the chief movie critic and a religion writer. He also wrote extensively about gay issues and AIDS. Bruni was a 1993 nominee for the Pulitzer Prize for Feature Writing and finished as a runner-up for his profile of a convicted child molester. Frank Bruni landed a job with The New York Times as a metropolitan reporter in 1995 and has ranged broadly across its pages. Three years later, he was assigned to the Washinton, D.C., bureau where he took up coverage of the Capitol Hill and Congress. He became a White House correspondent of the George W. Bush administration after being a part of his campaign trail earlier. Bruni also worked as the chief restaurant critic for The Times from 2004 to 2009. As a staff writer for The Times Magazine, Frank Bruni profiled J. J. Abrams and a health-obsessed billionaire who planned to live to 125. Also, as the Rome bureau chief in 2002, he kept tabs on both Pope John Paul II and Prime Minister Silvio Berlusconi. In 2011, he became an Op-Ed columnist. His columns appear every Sunday and Wednesday. Therein, he reflects on topics ranging from American politics, higher education, popular culture, and gay rights. Beyond his work with The Times, Bruni has also authored three New York Times bestsellers. His first book titled Ambling into History was published in 2002 and covers Bush’s initial presidential campaign. It was followed by a 2009 memoir Born Round where he tells it all about the joys and torments of his eating life as he has once struggled with his eating habits and bulimia. It also deals with his unpredictable journalistic journey. A third book, Where You Go Is Not Who Youll Be, which examines college admission frenzy came in 2015. He joined forces with his culinary friend and Times colleague, Jennifer Steinhauer to co-write a cookbook, A Meatloaf in Every Oven. It was published in February 2017 and also includes recipes from prominent chefs. Bruni drew on his experiences from extensive religious reports to write the book, A Gospel of Shame: Children, Sexual Abuse and the Catholic Church with Elinor Burkett. Moreover, he is working on another book, scheduled to release in 2020, for Simon & Schuster. As a freelancer, his work has appeared in several magazines such as Conde Nast Traveler and he also contributes to CNN, as well as on Bill Maher’s HBO show. He won the National Lesbian and Gay Journalists Association’s Randy Shilts Award in 2016 for his career-long contribution to LGBT Americans and is a two-time recipient (2012, 2013) of the GLAAD Media Award for Outstanding Newspaper Columnist. Is Frank Bruni Gay, Married, Who Is The Husband Or Partner? Frank Bruni is unapologetically gay and couldn’t be any more comfortable for discovering who he is earlier in life. Although he was looked upon with disapproval, sometimes with pity and often finds it difficult to blend in with his siblings and parents while growing up, he has come to embrace wholly his gay identity. He has extensively contributed to the LGBT Americans and doesn’t bat an eyelid with his writings addressing sexual matters. He does mention his partner in his articles, as well as his Twitter feed. However, Bruni has not said anything about getting married but would probably do so one day, with the love of his life.